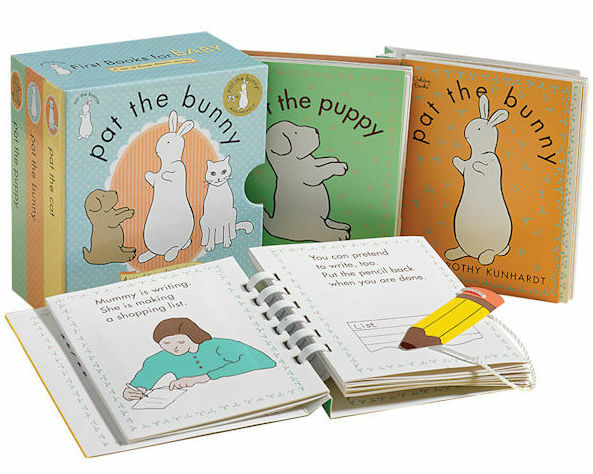 When selecting books for the Bas Bleu catalog, our editors’ #1 criteria is “Will our readers like it?” But we also enjoy the opportunity to revisit beloved classics, those books that are cherished by generations of readers, like Dorothy Kunhardt’s 1940 children’s book, Pat the Bunny. This week, editor AG shares her family’s affection for Kunhardt’s interactive classic and the two “sequels” it inspired. 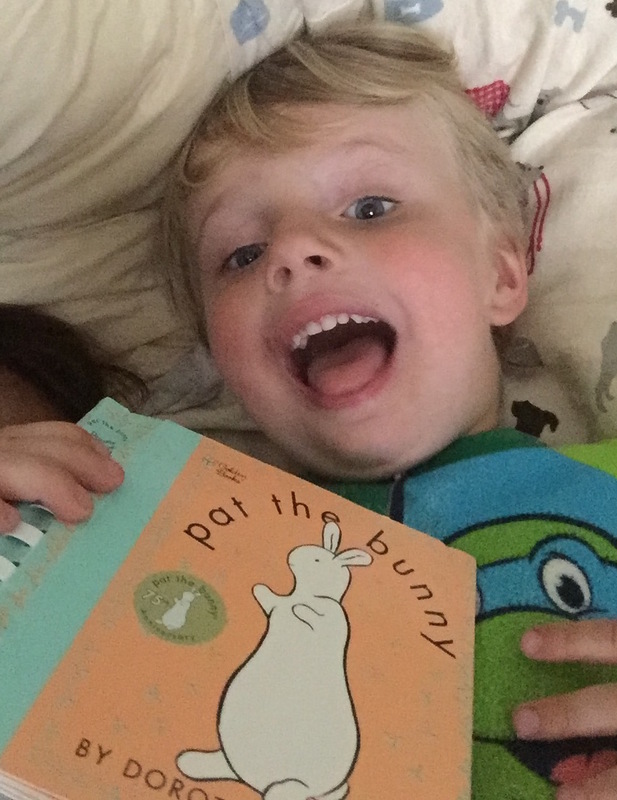 When I was pregnant with my first child, a good friend gave me two copies of Pat the Bunny—one for home and one for the diaper bag, she explained. Just looking at the cover reminded me of visiting my grandmother’s house, making a beeline for her bookshelf as I arrived so I could practice “reading” while engaging in the fun tactile activities on each page. When my daughter got a little older, she climbed in the dog bed to share Pat the Bunny with our dachshund, Frankie, who patiently listened while she showed him how Bunny reads his book at night. When my son was about one, he wanted to hold his copy while we drove to the store. When we arrived at our destination and I went to get him out of the car seat, I realized he’d put his finger through Mummy’s ring so many times that he’d destroyed that page of the book. Good thing I had two copies! Now my children are two and five, and both were delighted to discover there were two more “Pat the…” books! Published decades after the original and written by Kunhardt’s daughter, Pat the Cat and Pat the Puppy feature loads more stimulating elements to delight little ones! My kids’ favorites include making a frog hop in Granny’s garden, writing a shopping list with Mummy, getting money from the cash machine (I suspect this will become a recurring theme! ), and making the dog’s tail wag. 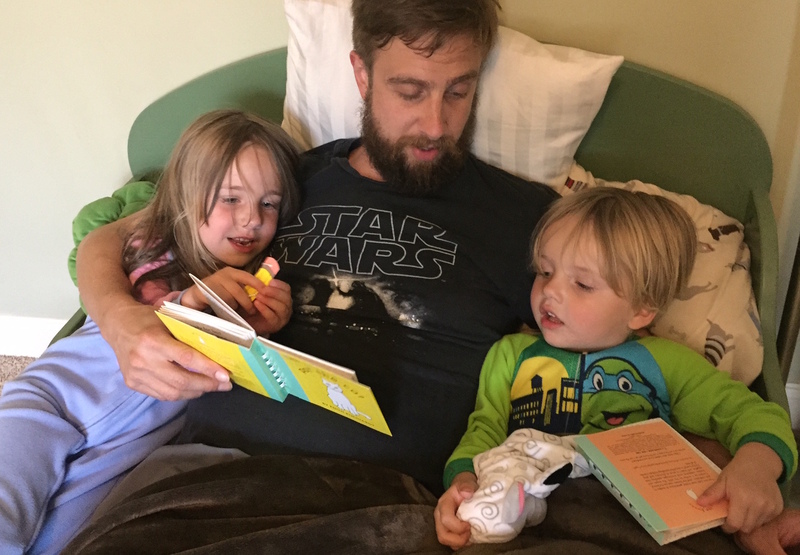 Last night my husband squeezed into the toddler bed with both kids to read all three titles. I heard shouts of “my turn!” and “no, mine!” along with happy giggles. The kids were both delighted with the experience, but my rather frazzled husband offered this pro tip: Buy a set of these books for each little reader in your family…unless you enjoy playing referee! 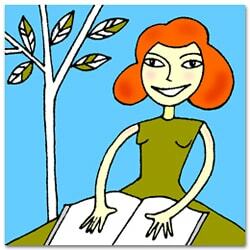 I love this book! It is the first book I bought for my granddaughter and, earlier, for my son. It is a family tradition. My granddaughter’s copy is coming apart she reads it so often. A wonderful experience! We love those books that stand the test of time, beloved by generation after generation. Thanks for sharing!